Everyone should make sure they have a good pair of running shoes in their life. It doesn’t matter if you’re a casual jogger, a fun run loving mom or a professional marathoner it’s always important to be wearing the right type of shoe. And where better to look than ASICS collection of running shoes! ASICS have an impressive collection that can help everyone on their strides, whether it’s to accompany you on the treadmill or help you on a wild adventure trail running somewhere. Fortunately, ASICS know what they are doing, and they’ve helped create a vast range or running shoes to suit everyone’s running footwear needs! View the Best Asics Running Shoes, Below. 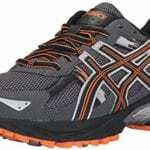 So sit back, relax and give your feet a rest for now while we present to you the best women’s and men’s running shoes on the market today from ASICS. The ASICS Men’s Gel Venture 5 is a reliable and sturdy pair of running shoes that will easily accompany you across multiple rugged terrains. Thanks to the 100% synthetic material of these running shoes you will never be pulled down by the weight of your running shoe. And thanks to the rubber sole and outdoor-ready runner with mesh and patterned brushstrokes underneath you’re bound to feel a boost in your stride where ever you go! These running shoes are the perfect pair for those looking for a running shoe which will help improve their performance on trail specific runs, thanks to its reversed traction lugs! 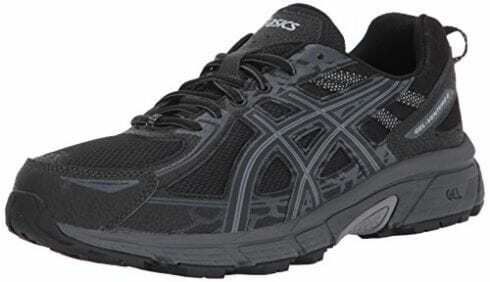 The Men’s Gel-Kayano is a delightful pair of running shoes that have been designed with the highest comfort imaginable. What makes these running shoes so comfortable and sturdy? Well, firstly these shoes feature an Impact Guidance System Technology which is designed to enhance your foot’s natural gait from heel strike to toe-off! What really makes these running shoes stand out is how unbelievably light they are. These ASICS Men’s Gel-Contend 4 s come with all the best features of an ASICS running shoe. From the 100% synthetic material on the outside which ensures your feet can breathe well during your run. To the rubber sole and rearfoot GEL cushioning which help provide you with maximum comfort and support at all times. There’s even both a removable and Comfort sock liner which means you’ll be able to get the best out of your shoe whether you keep the original liner or not. The Comfort sock liner is excellent for those who want a cushioned performance, and the removable sock liner allows you to adapt the sho to suit whatever medical needs you have. The main reason we liked this running shoe by ASICS is that it is a great staple running shoe for everyman to have in their wardrobe. 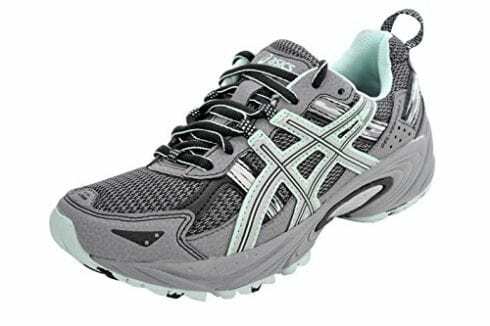 The ASICS Women’s GEL-Venture 5 is great for the serious runners out there! This is obvious from the great sporting design of these shoes from the get-go! These brilliant ASICS allow your feet to breathe at all times thanks to the 100% synthetic material and neutral mesh upper! We absolutely adore the rubber sole on these running shoes too which is great if you’re a long-distance or cross-country runner and you get great traction as you run. For those needing to change the insole for a medical one, you’re in luck with this model, as you’ll be able to as this ASICS features a removable sock liner. Whatever you end up doing in these running shoes we know you’re going to have a good time running around in them thanks to their GEL cushioning supportive insole. These running shoes are great for supporting your foot because of the specially engineered foam insole and gel cushioning system. 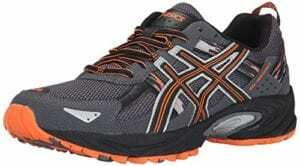 The ASICS Men's Gel-Venture 6 is a superb classic running shoe suitable for every runner's need. This model from ASICS range is, a solid feeling running shoe and is made from synthetic material, it features a rubber sole and incorporates shaft measures from the arch to the low-top of the shoe. However, you wear this running shoe and whatever you do in it we’re sure your foot will feel comfortable and supported thanks to the GEL cushioning system under the sole as this alleviates the impact placed upon your foot. This GEL system makes it great for those looking to run long distances on uneven terrains. There’s even a removable sock liner which allows you to place a medical orthotic one inside instead. We loved how well the GEL cushioning system was able to remove the shock impact our feet face as we run! These ASICS Women’s Gel-Venture 6 s really say what they do in their name, they are great for those who want to get out and explore the world on trail based rugged terrain runs! This running shoe is designed specifically with trail running mind thanks to its trail-specific outsole and high abrasion rubber which provide comfort and confidence throughout your run. 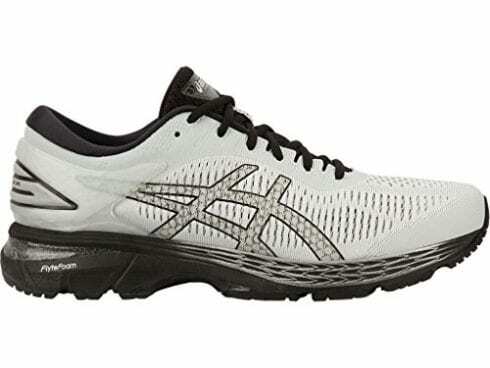 We also love the classic ASICS rearfoot GEL cushioning which absorbs the shock your foot may discover as hits the ground, as well as a removable sock liner to accommodate a more unique sock liner fit. 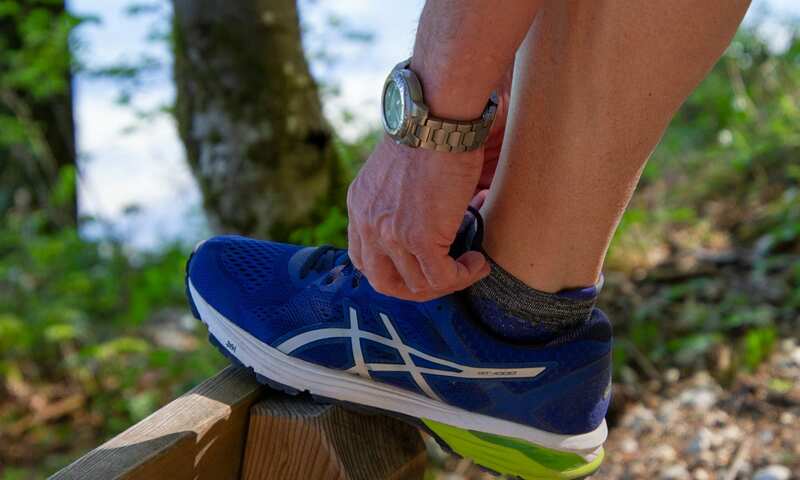 We love how well suited these running shoes are too all different types of terrain this is because of the AHAR (ASICS High Abrasion Rubber) which is cleverly placed on the areas of the outsole that require more durability. 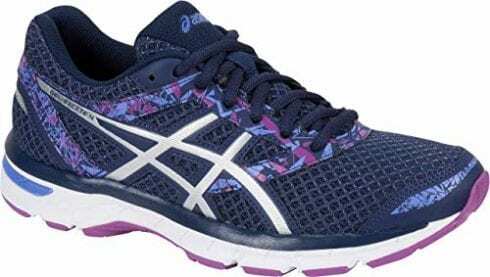 ASICS Women’s Gel-Excite 4 are brilliant shoes for those moderate mileage runners, by providing ASICS signature, Rearfoot GEL cushioning and high-impact zones on the outsoles for increased wear and tear. The material of this running shoe is made from synthetic textile 100%. There’s a removable sock liner to accommodate the needs of those who need a medical liner. And one of our favorite features is the AHAR outsole which is a High Abrasion Rubber which provides, we think, the best durability. There’s even reflectivity built into the outer design of the shoe which helps you during those late night runs! We love the variety of colors these running shoes come in, which make it super easy and straightforward to be able to choose the right color to match our workout outfit! 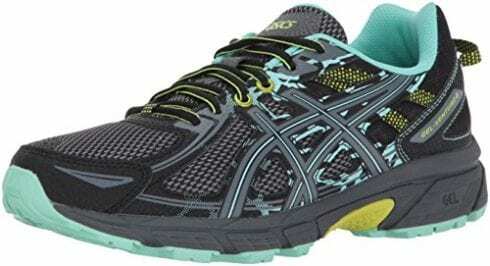 The ASICS Women’s Gel-Contend 4 ’s are a superb running shoe for any women looking for something supportive and synthetic. These ASICS contends are 100% synthetic and feature no leather in their make up what so ever. This makes it great for those vegans and veggies who refuse to wear leather. The contends also feature a rubber sole and shaft measures measuring from low-tip to arch. One of our favorite features of this model has to be the rearfoot GEL cushioning systems! The cushioning system is brilliant at being able to smooth your foot transition to midstance due to its ability to attenuate shock. And its sock liner not only provides a cushioning performance and moisture wicking for a dryer and healthier environment for your foot. We liked these running shoes the most as they’re great for vegans who still want to hit the ground running without compromising on any of their morals! You’re bound to fall in love with the ASICS Women’s Gel-Kayano from the moment your sole hits the GEL cushioning system. We found these ASICS great for those looking for low-top to arch supportive shaft measures. The Gel-Kayano's are a great pair of running shoes for those looking for great stability as they feature rubber soles and synthetic mesh as well as an additional fluid ride midsole! The Fluid Ride technology inside the midsole helps provide this shoe with the ultimate combination of bounce while cushioning your feet and minimizing the impact you face as your foot hits the ground! We loved the structural support that these running shoes give thanks to the heel to toe technology that’s made within an understanding of exactly where your foot needs support as it runs. This ASICS Men’s Gel-Nimbus are a great pair of running shoes that equally lend themselves to general workout shoes too. This particular pair of ASICS feature manmade mesh and a low top arch which is excellent for giving you the support you need as you run across multiple surfaces! There’s also a flytefoam midsole included in these GEL Nimbus’ which provide you with the ultimate bounce back feel as you run. Overall, these running shoes offer the perfect support and shock absorption from your foot thanks to the GEL cushioning technology from ASICS. Unlike many other running shoes that were also made with the dual purpose of functioning as a workout shoe too we found these were the most comfortable and less likely to cause friction between your foot and sock. When it comes to running shoes, ASICS really know what they’re doing. Even their name which is a Japanese acronym that translates as a sound mind in a sound body. You can clearly see they’ve stuck to this as a sports enthusiast manufacturer over the years by producing some of the best running shoes on the market today! But now that we’ve presented you with ASICS finest running shoes it’s over to you. But how do you find the right ASICS running shoes for you? Well, it’s essential you take your time to think about what works best for your feet. You must always pay great attention to what you put on your feet as they deserve the right care and attention. Think about it, even when you’re not running your feet hold your entire bodyweight day in day out. The majority of problems your feet will face in your life will be as a result of ill-fitting shoes. And there are worse problems than calluses and bunions trust us! For example, many people overpronate, this is where your foot rolls inward excessively. Underpronate? Try these shoes for underpronation. You can also have a neutral style of footing too. And thankfully, proper fitting running shoes can accommodate for such problems. This means that you do not have to worry about your foot hurting during those long runs! It is imperative to take note of your feet positioning as without the right protection you will put yourself at high risk of an injury. You can find out your level of pronation by self-testing yourself or within any shoe store. Once you’ve established how your foot pronates you will be able to buy the correct pair of running shoes which will give you the right amount of support that you need. There are many different types of running shoes out there on the market today, and this is because people have different running habits. Those who sprint will need different shoes from those who jog. And those who run inside will need different shoes to those who run outside. The type of running you do will also determine the design of the running sure you end up buying. For example, those who run long distances and cross-country will need a more substantial shoe than those who jog. 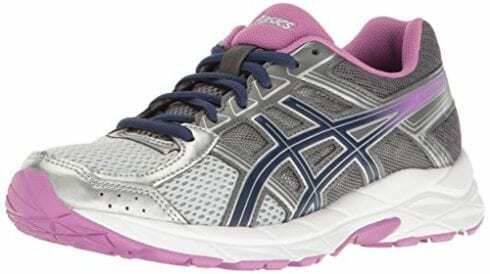 ASICS trainers have many different types within their range to suit these various needs you will have as a runner. 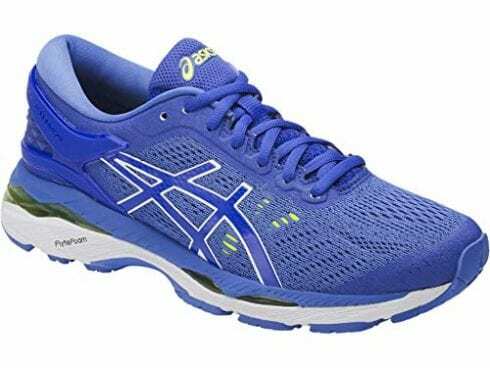 For instance, ASICS are known for their GEL cushioned shoes, these are great for marathon and cross-country runners as they will easily protect your feet as you go across different surfaces. The parallel lacing technique helps alleviate any pressure from your foot. To get the benefit of this lacing style, just remove your lace and re-thread it by going through two eyelets on the same side at a time before missing the third one out. A runner loop lace method can help those whose feet slip about while they run, this looping technique helps tighten your shoe at the heel. To get this style, you need to tie your running shoe as you usually would be then on the last thread you must lace it backward and tie the opposite sides. If you find a running shoe with the perfect fit, your performance can improve dramatically but if you don’t your performance won’t be the only thing that suffers, your foot’s health could too. But how do you find the right fitting shoe? Well, you’ll be able to tell if your running shoe fits based upon whether or not your toes can wiggle at the front and your heel and midfoot feel secure. If even after this, you’re finding it difficult to know which size is right for you – go half a size up. Your foot will expand every time it hits the ground, therefore, to compensate for this, you should get a bigger size shoe. 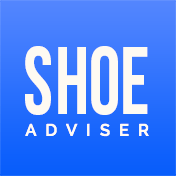 Our favorite bonus tip is to make sure you try your new shoes on at midday. This is because your feet swell and it’s best to try on your new shoes when your feet are at their biggest as opposed to smallest. There should always be a slight finger size gap between the tip of the running shoe and your big toe. Most sports experts suggest you change your running shoe on average every 500 miles. 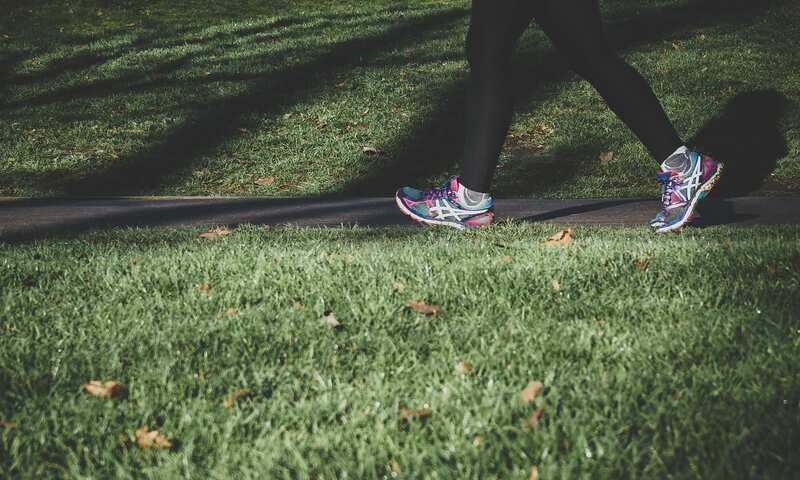 Of course, this will completely differ depending on multiple variables including how often you train, where you train, your weight and your foot type. But it is always best to be on the safe side and buy a new pair of running shoes sooner rather than later. There’s nothing worse than trying to run in running shoes which are no longer suitable for you and therefore inadequate for their job. Although a lot of running shoes can be placed in the washing machine to give them a freshen, you should never ever ever EVER put them in the dryer as this can severely damage the laces and even melt the midsole. ASICS started its journey on the 21 July 1977 where it was founded in Kobe, Japan. SUPER KAWAII! We hope you enjoyed our article on "10 Best Asics Running Shoes in 2019", if so, please share and rate it.